Welcome to high school and to the Crosby Scholars High School Program. Preparing for college starts now! Decisions you make, classes you take, and grades you earn are important from day one. 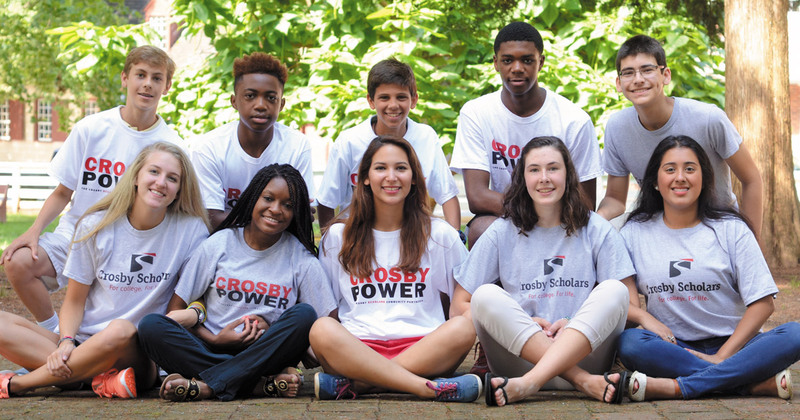 As a Crosby Scholar, you have made the decision to prepare for college enrollment, and we want to help you achieve that goal. Involve your family as your support system, and get to know your high school counselor. Students in 9th and 10th grade interested in enrolling in the Program must submit an application during our open enrollment period at the beginning of the school year. Scholars who completed the Program in 8th grade are automatically enrolled in the Program freshman year at the high school they attend.